Must have experience in general homemaking and meal preparations. 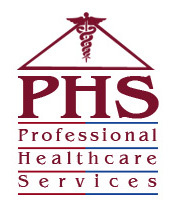 Professional Healthcare Services offers competitive salaries, flexible schedules, continuing education and training, a positive work environment, helpful supervisors, and a family atmosphere. State Licensed Bonded and Insured Se Habla Español HIPPA Compliant (Privacy Act) All employees are carefully selected, screened and trained.